The prospect of having a space you can make your own — whether it’s a bedroom, a dorm or a whole house — can be very exciting. It’s the ideal opportunity to get artsy with your decorations and make your space a reflection of who you are. However, for those of us on a budget, it can sometimes seem impossible to decorate a room without spending a lot of money. Luckily, the boho-chic style can be very inexpensive, and it’s even more so when you make your decorations yourself. Here’s a round-up of six budget-friendly and easy DIY bohemian crafts that you’re sure to love. Gather your materials and some friends, and let’s get to work! The Bohemian-style pillows you can find online or in stores are often stunning, but there is one problem. With all of the added tassels, beads and trims, they can get quite pricey. So why not make them yourself? You’ll save money and end up with pillows personalized to your taste. To make these tassel pillows, you’ll need basic sewing skills, pillow covers or pillows, a needle, thread and decorations — which can include trims, beads and gemstones, sequins, ribbons, tassels and anything else you’d like to add. When you’ve gathered your materials, you should first cut any trim pieces you may be using and pin them onto the pillow using needles. Once you’ve hand-sewn the trim in place, you can add any other decorations that suit your fancy. You can sew on beads or sequins to create beautiful patterns. To add tassels to the pillow, sew through the top knot of the tassel and into the edge of the pillow. The designs you can create are endless and can be adapted to match other decorations in your room. Whether it’s the sound they make as you walk through them or the unique look they bring to any room, there’s no denying that beaded curtains have long been a décor favorite. They can hang over a door or even serve as a nice tapestry for an accent wall. If you love beaded curtains, you’ll be happy to learn they’re quite easy to make. 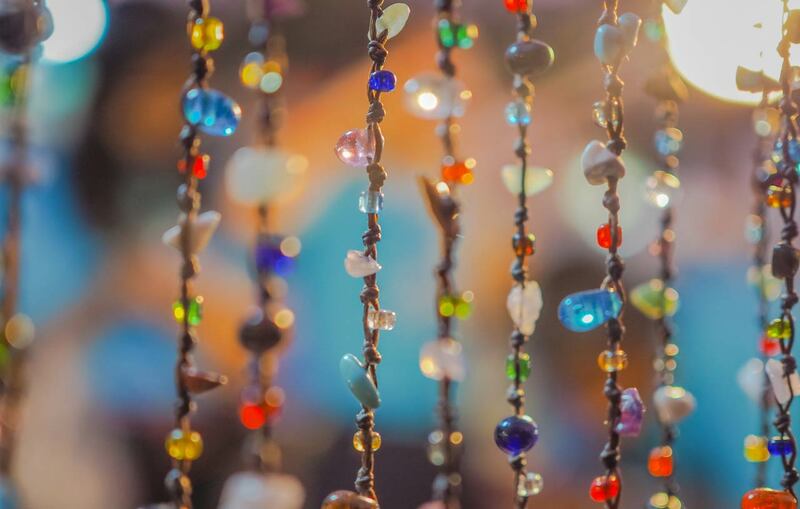 Making a beaded curtain boils down to a few simple steps. After deciding where you want to place your curtain, you’ll need to create a wooden rod and attach cup hooks to it. Once you cut lengths of nylon string to your desired length and tie them to the hooks, you can start beading. You can find the detailed instructions here, but as you can see, it’s a relatively simple process. The best part about making your own beaded curtain is the ability to customize it. You can use old beads or buy beads of all kinds online. Wooden beads, colorful plastic beads, gemstone beads, metallic beads and even pearls can be used for this craft. Making doily lanterns is a great way to brighten your room and reuse old doilies that may be lying around the house. They’ll give your room that relaxed boho feel that we all love. Depending on what size you decide to make them, you can create a small lantern for your bedside or a larger lamp to hang from the ceiling of your room. The materials you’ll need for this craft are small doilies of any color, a large paintbrush, wallpaper glue, LED lights and cheap rubber balls or balloons. The size of the balloons or rubber balls will determine the size of your lamp. Begin by placing the doilies on the ball or inflated balloon you’re going to use, making sure they overlap and leaving a small opening. Then cover the doilies and ball or balloon with wallpaper glue and let it dry completely. When the doilies are dry, you can pop the balloon or ball and remove it. All that’s left to do is place a small LED light inside the dome you created, and your doily lantern is done. Any boho bedroom will feature plants and flowers. What better place to put them than in a beautiful, environmentally-friendly DIY vase? Upcycling, also known as creative reuse, is a fantastic way to decorate your boho room while also reducing your carbon footprint. We often throw away things that are still usable or that can be upgraded to decorate our homes, and wine bottles are just one example. If you have a few empty wine bottles you’re planning to throw away, you can use them to make flower vases, centerpieces and even candleholders. After cleaning a wine bottle and removing the labels, you can decorate it in limitless ways. White or metallic spray paint can give your vase an elegant base, and you can use stencils if you’d like patterns on your vase. On top of the base, you can use ribbons, strings, pearls and gemstone beads to embellish it. If you can’t come up with any ideas, a quick Pinterest search will result in thousands of designs you can copy or use as inspiration. Decoupage is a simple technique that can give old, tired furniture a new life. When you decoupage furniture, you paste an image or design of your choice on it and then cover it with varnish. This technique gives the impression that the piece of furniture is finely painted, and can give your room a unique feel at a very low cost. All you need to decoupage your furniture is your choice of photos, fabric or wallpaper, some varnish or diluted white glue, a large brush and the piece of furniture that you wish to decoupage. For boho-chic decoupage, consider using tapestries as your chosen fabric. While we suggested a chair for this craft, you can use practically any piece of furniture you’d like, including a dresser or a table. The photo wall is another easy craft that is almost indispensable in a boho-chic bedroom. In fact, it’s indispensable in almost any bedroom. Who wouldn’t want to decorate their room with their favorite memories and people? 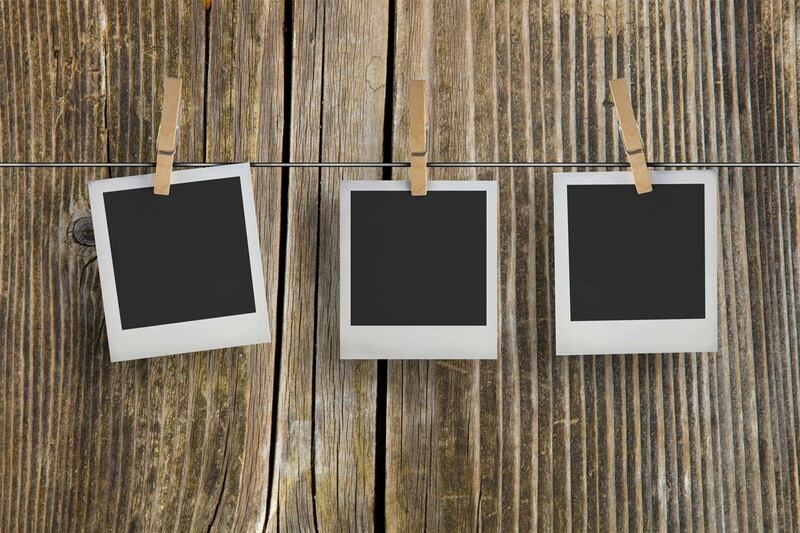 With just a collection of your favorite photographs, some string and a handful of clothespin clips, you can make the plain walls of any room come to life. This is one of the cheapest and most meaningful decorations you could make for your room. Decorating a room doesn’t need to come at a huge cost. 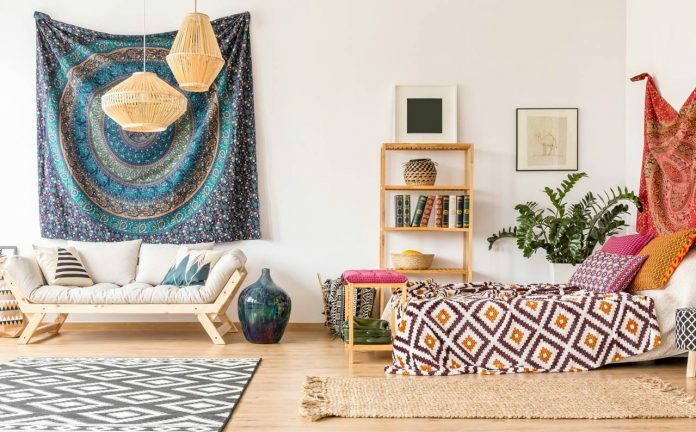 With the inexpensive boho-chic decorations we’ve suggested here, can make your room a place you’ll never want to leave. Previous articleEat. Sleep. Study. Repeat: Is this the Mantra of Success? Josephine Smith is the Content Manager for The Bead Traders. When she’s not working, she loves spending time with her two kiddos, cooking, crafting, and teaching them new things. Her favorite craft to do with her children is making homemade Play-Doh.